Have Newcastle United got their priorities right? | NUFC Blog. Have Newcastle United got their priorities right? Hughton: Which way will he turn tomorrow? 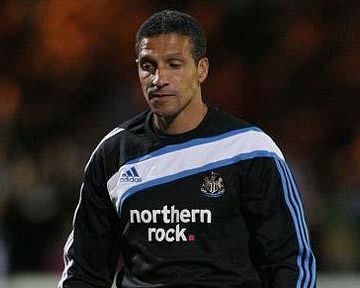 Chris Hughton will begin the toughest week of his NUFC career tomorrow when his United side begin a home double against Arsenal in the Carling Cup before a derby day with Sunderland on Sunday. Tomorrow night’s last 16 meeting with the Gunners was unexpected for Hughton and arguably a game he did not want his side to have after his second 11 edged Chelsea in a 4-3 thriller at Stamford Bridge. But here we are facing a mid week game five days before his first derby as the United boss at home to Arsene Wenger’s side. The big question however is what approach will the mild mannered Magpie boss take tomorrow? Will United again call upon the reserves of our limited squads with the likes of Nile Ranger and Peter Lovenkrands returning. Or will he gamble against what is sure to be a young Arsenal side, after all If we can get past Arsenal that would leave only Manchester United left from last season’s top 6 assuming they get past struggling Wolves tonight. Hughton has come under pressure for the first time during his reign in recent weeks following poor home defeats to Stoke City and Blackpool and a derby defeat will not boost his position at the club any more. But does this mean United must rest our entire side tomorrow night? I am all in favour of bleeding our youngsters into the side through the Carling Cup in the same way Arsenal have done, and the likes of Haris Vukic and Nile Ranger are certainly capable of producing a performance tomorrow night – as shown at Stamford Bridge. United did not expect to be involved in the draw but luck once again failed us and paired us with yet another giant – but like Chelsea it is no reason to fear them. Arsene Wenger will of course field a vibrant, exciting, attacking young side who will cause us problems, but far less problems against a strong side. I just hope Hughton resists the urge to rest the entire side for Sunday, I would love to see the mix similar to Cheslea, a mix of youth with experience, quality and first team football – rocks like Check Tiote and Williamson just to guiude our players. Fielding a second string team will not gurantee us victory on Sunday but will almost surely gurantee us defeat tomorrow, and if Sunderland were to beat us as well and we were out of the cup, then the resting of key players will be even more fruitless. Bragging rights mean so much to both sets of fans of course and rightly so, the pasison and excitement which comes with a tyne-wear derby is something special but can’t United enjoy the best of both worlds? Its not a case of ignoring the derby day but United have already been given the added bonus of the game being on a Sunday, giving the United side four days to recover what ever the outcome tomorrow night. No fan needs reminding of United’s wait for silverware and the league cup has become a very possible answer to our prayers due to Chelsea, Manchester City’s, Spurs and Liverpool’s early exits. The upsets so far tell me the League Cup could spring an upset this year with an underdog making the final and I just hope United fans don’t look back and wonder what might have been. Play a second string definatly, nothing more important than Sunday. I just dont get NUFC fans. Why have you a vote on should Houghton get the sack? Why do you cry out for instability at your club after the last 10 years? Newcastle are doing as well as most people expected and with a stable club should survive. From there you can build. You cannot compete at the top due to the hegemony and overseas money so accept this and support your manager. Good luck for the season. Arsenal have picked a strong squad by the way. I would like a strongish team tomorow, obviously don’t risk the likes of Carroll and Barton but if we are gonna ‘get our priorities right’ I think this is still an important game and the best chance to progress to the latter stages of a proper competition for a very long time. I would be very disappointed if they threw this away because of simply not enough effort. Arsenal traditionally don’t travel well to the North East and I don’t think it will be as easy for them as they think. Plus we can’t exactly wrap everybody in cotton wool, players get injured in training ect and the flip side is that this could be a good workout with 3 days to rest before the derby. just to let you know,we will not be fielding a young side,as you said would you rather save your players for the derby or have them feeling the strain trying to get through to the next round of the cup. Normally i would be saying play a second string tomorrow, because Sunday is too important. However … the last time we won something (texaco cup in 1975 … whatever that was) was 35 years ago. I would want CH to put out a near full squad tomorrow as I think winning something this season would be a better feeling than not winning on Sunday. Agreed I think that vote has been on long enough and should be taken off. Disagree Shrews, the derby all the way for me…..
Carling Cup would be nice, it would give us something tangible, but beating Sunderland is bigger and goes deeper than a cup in my opinion…. £100,000 for winning the Carling Cup? £40,000,000 for another year in the prem? Same team that played against Chelsea for me like…. fred…the vast majority(94%) don’t want him sacked, I suspect at most clubs there’ll always be a few who aren’t happy with their manager. f### it. I want us to really go for it. Secondly,i got gut feeling Wenger will go all out,and we will not face a very young arsenal side. beside,wenger wants to give more minutes to some of their first-team players who just came back from injuries. We might expect to see Nicklas Bendtner, Theo Walcott and Kieran Gibbs could be in line to start, while Laurent Koscielny is also likely to play after recovering from a back problem. As for Our side,we do have quite a few of senior players currently as fringe players. Hopefully i will be seeing the likes of Xisco,Peter,Ryan taylor starting. With of course Ranger,Haris,Shane etc. May we become like WBA and go and try to beat Arsenal. Not arsed about the cup, league is way more important. Whoever we hoy out there will give their best shot, they managed just fine away to chelsea last time. Yea, a cups a cup n’all that, yea, yea, yea, i know. I’m sure it’ll change if we get through like. we don’t shot of CH, it’s a gauge to see where fans are at. Don’t take it so literally mate. not really toonsy. Plus how can you ever be sure that the 10% arn’t Mackems and Mancs. It’s a misrepresentation designed to cause trouble. I have my opinions which I get attacked for but I don’t deliberately go out to cause trouble, which whoever put that up clearly does. He was one of our ambassadors to secure the World Cup in 2018. Not any more like. Unless he loses the locker room, or some other club comes in and sweeps him away, Hughton is going nowhere. Get rid of the pol-no matter how favorable the results are for Hughton. NUFC from waterboy to MA have declared staying in the PL is the season priority. Keeping that in mind, CH will field a team on merit and capability, holding most of his big guns in reserve. There was little wrong with the squad that took on Chelsea, and the only tweaks I’d make would be inserting the healthy at the expense of the youngsters, if it is done on merit. I’ve checked the database, DJG. Toonsy – I really don’t think that league survival will be a problem this year. You’ve got it all wrong their my friend, Most fans don’t know or care about that, they just want to finally win something. Plus try telling the guys that pay £20 tomorow night that ‘sorry folks but sunday is more important’. batty tried to vote twice in the poll. He’s gannin’ on the naughty spot! fred – because the media like to make things up – and this vote just shows what the fans think of all that crap. DJG – Ok fair enough, ask Popmpey fans how they see their FA Cup nowadays…. Bear in mind my wifes family are all Pompey mad….. I can tell you now what they prefer, and it aint the FA Cup…. My mate had the FA Cup in his bedroom that year, and one of us dropped the lid. It fell off his heed. i think everyone can agree that survival is the priority this season. won’t be bothered in the least if we lose tomorrow. fully expected to get beat at chelsea so if we fall to arsenal then so be it. would a little run be nice? yes, but it does take some focus away from the league, especially with such a big match coming up on sunday. I think you should mention that on the poll in future, just out of fairness like. I recon they probably see it as one last piece od unparalled joy before their club hit the skids due to crook owners, doesn’t mean that if they had gone out in the second round they would still be 7th in the prem does it. I really don’t see why Hughton can’t put out a decent team tomorrow against Arsenal. Colo or Willo would be a great partner for Kadar. Guthrie and Alan Smith will be focused throughout the game to show what they can do and that they’re good enough to stay in the team. Vuckic needs to put put in the hole, with Ranger up top. Lovenkrands and Raylor could even play on the wings! Hell, put Carroll or Shola on the bench along with Routledge, Simpson, and Barton. Great article by the way, Paul! DJG – I see your point. My mrs’s family sees it entirely differently like. It’s their club like so what would they know…..
Actually they are gonna put out a fairly stong side with the likes of Walcott, Bentdner and Vela. He is desperate to win something after a relative drought for them. So there’s no way we should send out a bunch of youngsters to the slaughter, it would just humiliate them. Have you thought about that toonsy? I think with every game we have to send a team out the CH thinks can win the game. I think every game is important ( fair enough some games more than others ) but we should be concentrating on arsenal not on sunday. I would be fairly happy with a team similar enough to the one we sent out against chelsea as it showed it was a competitve side and could win a game of football. Agree with DJG @35. Arsene Wenger is definitely going to go for this cup as he is getting shat on for not winning anything for 5 years. Dumb, but it’s happening. This cup is definitely within their sites, but with them being 2nd in the league, you would also have to argue that their next league match is very important too. I say just use a few youngsters, Kadar, Ranger, Vuckic, and Shane Ferguson. Ferguson mostly because I would dread Jose Enrique not being 100% for the derby! Even though we’re playing Arsenal at SJP, I think Hughton’s 4-5-1 could be very productive and even positive if we have the right players out there. I think the same team that played against Chelsea should play. Surely they deserve it as they got us here? I’m with Toonsy on this one, I think the boys who played & beat Chelski deserve the chance to carry on that run, it’s only fair to them!! What wouldn’t be fair is to bring in the first 11 team to take over the run, especially if & I do mean if we should win it, as they would get all the credit, not the young guys who got us this far!!!! As for Sunday, yes it’s an important game but I wonder how many chances of winning silverware in the past have been given up because we’ve had a derby game that weekend?? how many time have we played a far weaker side than we should just so we can beat the Muckems & take the bragging rights home, anyone know that answer??? U know i know how impt he is for derby match. I wanna see some quality on the bench. What we deffo don’t want is extra time. It would be better to play first teamers and win it in 90mins. DJG – what happens if we put out a very strong team & they get beaten by the Arsenil Youngsters, how do you think that will affect them mentally when they come to play the Muckems, especially knowing that they’re going to have to play the Arsenil Youngsters again 7 days later??? More or less the team that beat chelsea will be put out with Guthrie. & as per, some 1st teamers will be on the bench. It’s not about bragging rights v the smb’s, it’s about 3 points. There’s no reason why we can’t beat Arsenal AND Sunderland. Their both home games and the lads have 4 days to eat their beans and recover, their not grandads. Only interested in which strikers will be starting. That’d be pretty effective, right? Perch has to play again at some point AOD, if only to rebuild the lads confidence after our “best fans in the lad” cheered the lad off when he got subbed the other week…. What happens if we play a few first-teamers, they get injured, and we go out anyway? Well you could say that about any game. What happens if we get first teamers injured against the mackems and we get beat anyway and go on a poor run of form. Be positive. Well,if perch starts,hopefully he can contain Nasri/Walcott. toonsy it’s only 3 games to the final, hardly fighting 2 wars with one army. I just don’t get how you have a go at me for being negative all the time and then your so negative about the cup. AndrewT – We are 9th, but we are also only two points off of 18th place. For me the league is the priority this season. 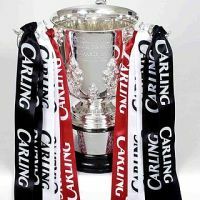 The Carling Cup can do one, as I have said on many occasions…..
TOONSY thinking like a manager noo like m8,not like some fans. Ice – To me this has the hallmarks of tomorrow being another kneejerk night. I was away at the weekend so I missed all the fun games on the blog. Just to recap – chris isn’t clueless anymore, batty is still a WUM, toonsy isn’t going anywhere and Stu is a bell-end as per usual!!?? Go for the cup, dammit! I want to see a mad parade and geordies gone mad in the streets! Wow, that is still meant to be a 442, obv with smith sitting and guthrie roaming. decent mix of youth and experience and can give us a decent chance without risking too much. gotta give time to the players who’ve got us here i think while at the same time, accepting that this is not a priority. Completely off topic…but i’m coming up to Newcastle for my birthday in January, i’ve got a choice of two games 5th against West Ham or 22nd against Spurs. What day is the best day to go for night out? Haha – good thinking, i’ve actually got work off from the 5th anyway so it wouldn’t make any difference, lol. Premier Apartments on Thornton St any good? Haha, they’re cheap if a load of you go, so we’re looking at £21 a night, bargain! Any places I should check out? Drinking wise o course? just hit the bars on the quayside and in The Gate…if ya like a bit of a rough neet the Bigg Market.